Haradafull (2nd): looks ready to win in this sort of company after three runs back now. Was being stoked up to move when briefly pocketed by the winner who sprinted quickly. Once clear he made plenty of ground in the last 200m. Note – Imported galloper Articus had been well beaten in his two Australian starts but down in class and up to a suitable trip he proved a bit too good. Nice turn of foot hitting the lead early in the straight and he held a closing Haradafull while Show A Star boxed on for third from on the speed. Note: De Little Engine relished a slowly run race and swept around them before the turn to take over early in the straight. From there they were never going to reel him in as he sprinted away beating the jumper Refectory and a one paced Lucques. Note – the field split in three divisions and it was the flat side successful with Booker leading most of the way at her debut downing the favourite Freeze Over who was solo on the outside fence. I’ll Have A Bit loomed up as a threat 200m out but the run ended and she held third. Pure Pride (6th): blew the start and wound up back second last on the fence. Found all sorts of trouble from there and went to the line untested beaten about two lengths. Becoming costly but unlucky yet again. Tshahitsi (9th): enjoyed a nice run about fourth but from the turn was climbing over their backs looking for a run and was severely checked a couple of times ending any chance. Complete forgive run. Note – Messy race with plenty of interference. Inspector managed to get a run through at the right time and surged late to just beatColdstone, who made his run at the same time, and Give Us A Go up along the rail. Divine Quality (1st): this filly will be a name to remember come the spring, she was brilliant on debut out of town and was even more impressive sitting at the back of the inside ground and just sailing past them like they were second rate. Could be very smart. Note – Divine Quality proved a class above as she roared clear in the last 200m down account for Summer Glen, solid first-up, and Savaju getting up for third. Note – Hot Ruby travelled like the winner at the 400m and when let go she put a surprising gap on her rivals in easily beatingSavannah Moon and another little gap to Shenandoah. Zasorceress disappointed again. Note – Another somewhat eye opening dominant win from Zamzam, who hasn’t done anything like that since an impressive debut. She was travelling like the winner a long way out and held a couple of lengths on Just Hifalutin running on from well back and Greviste who kept coming as well. Rewarding Effort (6th): first home on the inside of the track and he hit the line very nicely from last, particularly as 1000m is a long way short of his best. More like a barrier trial hitout for him and he should be in for a good prep when he gets to 1400m or so. Note – the outside rail was clearly superior and Crystal Dreamer atoned for his luckless effort last time stalking the speed and finishing off a bit too well for Malibu Style with Husson Eagle running an improved race for third. 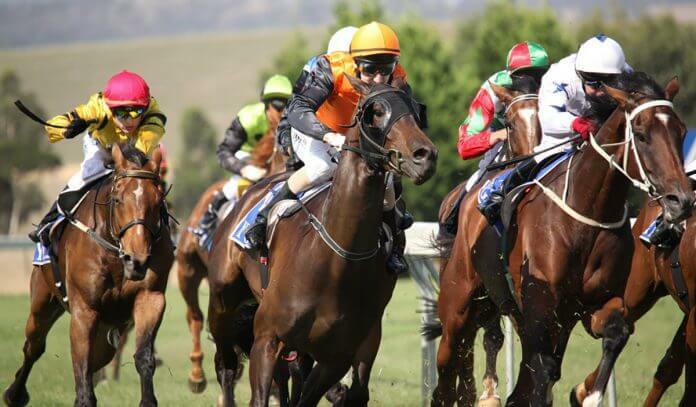 Note – Stormsabrewing left them with no excuses after easing out the back at the start and coming with a long run out wide to round them up in the shadows beating Scapa Cove, who tried to go with her, and Amarela ran another honest race to get up for third.